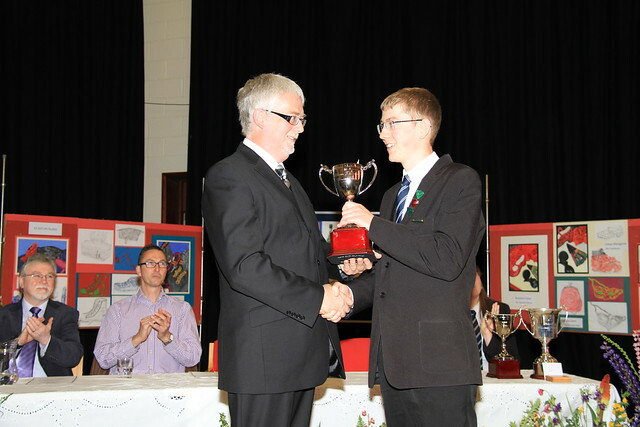 The annual celebration of the success and achievement of all pupils took place on Wednesday 26th June. House Shield went to Maree once again! 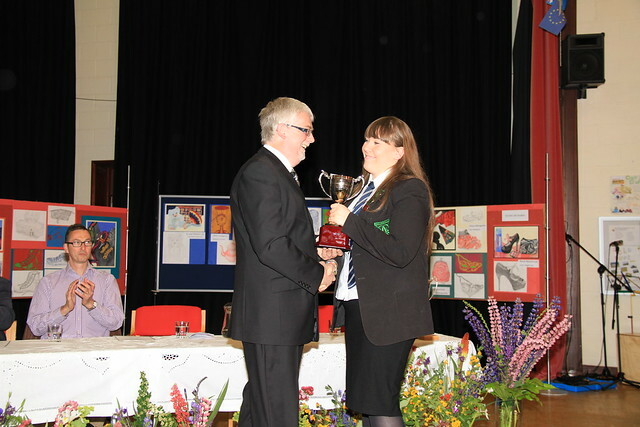 The Trophy for gaining most credits in the school was presented to Leonie Baptist. Certificates of Perfect Attendance were awarded to Charlotte Kelman, Caitlin Johnston and Donald MacKenzie. The Sports Champions were announced in full in last issue. All results are available on the school website. A number of pupils throughout S1 to S4 received Certificates of Personal Achievement for consistent effort and care in all of their work throughout the school over the whole of last session. All S1 pupils received John Muir Discovery Awards. Thanks to the Parent Council and the Hospitality staff and pupils for providing refreshments at the end of Prizegiving. Also thanks to Mrs Brown and Kirsty Thistlethwaite for the flower arrangements in the Hall. Special thanks to Dr Caley without whose meticulous organisation this event would not run so smoothly. 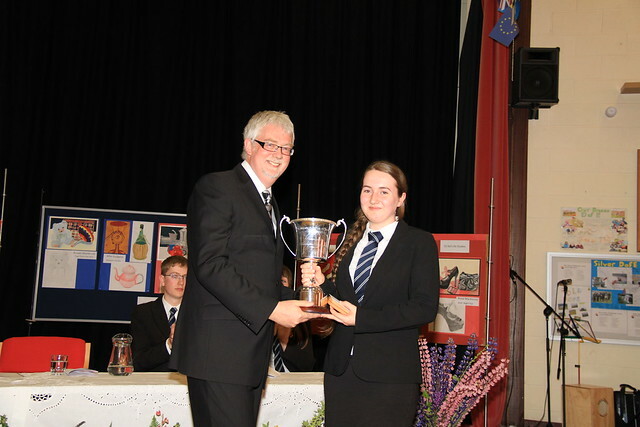 More photos of the prizegiving ceremony can be viewed by clicking here. ‘S math a rinn thu, Anndra!– Congratulations to Andrew Mackenzie who recently came third in an annual writing competition for Gaelic learners. Andrew’s prize was a £20 token. This news arrived after Prizegiving so Andrew was awarded at school assembly on the last day of term. House Prefects 2013/2014 – Senior pupils have now been appointed to lead the three houses. Kerry House – Girls House Captain for this year is Laura Ridehalgh. She will be assisted by Gemma McLean. The Boys House Captain for this year will be Peter Banks and Cameron Moys will assist him. Maree House – Girls House Captain for this year will be Isla MacKenzie who will be assisted by Dannie Bulmer. The Boys House Captain will be Donald MacKenzie and Donnie MacLennan will assist him. Tollaidh House – Girls House Captain for this year is Caitlin Johnston who will be assisted by Beth Townsend. The Tollaidh Boys House Captain for this year is Luke Gorman and Ross Wotherspoon will assist him. Silver Duke of Edinburgh Expedition – Catherine Wyatt reports: Our recent practice expedition for our silver Duke of Edinburgh award proved to us that the Duke of Edinburgh Experience simply gets better and better. This time, we travelled further, climbed higher and learned more about navigation, map – reading and teamwork. After driving to Beauly, an 8 km walk brought us to our base camp by the shores of Loch Mullardoch. The following day, we climbed what was for me my first Munro – I completed the ridge on my hands and knees! The third day we returned home, having thoroughly enjoyed ourselves, but more than ready to appreciate the comforts of home. Our supervisors greatly contributed to our enjoyment of the expedition, keeping us entertained with impressive artwork and musical talent, while motivating us by their obvious enjoyment of the outdoors. Some memorable moments from our trip included Mr Johnston’s touching appreciation of our freshly cooked cheese sauce and Mrs Bulmer’s tactful assurances that, despite its delicious appearance, she simply could not manage another mouthful. An invasion of ants and the strange phenomenon of the sleepwalking ski poles added their own touches of drama. Innis, Ciaran, Sofie, Siobhan and I enjoyed our three days in the wild. We found that the expedition was a very sociable experience. It was also challenging, but, above all, great fun. First Aid training – As stated in an earlier edition of this paper, pupils in S1, S2, S4 and S5 were given training in June. 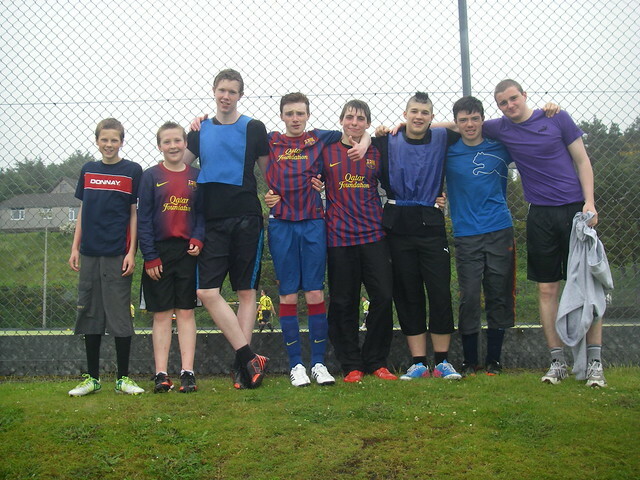 The school would like to put on record its thanks to Heart Start Aultbea for providing the trainers for these sessions. Instructors came from as far afield as Skye to help with this invaluable training; it was especially pleasing to see former pupils Bobby Mitchell, the group’s coordinator, and Rebecca Beaton back in school working with our pupils. We hope that this can become an annual event to support pupils’ broader education and, if the need arises, possibly save a life. Former Pupil Success – We have heard of the following graduations taking place. Very well done to our former pupils! Laura Fothergill – Bachelor of Medicine and Surgery (MBChB) starting work as a doctor in Ninewells hospital at the end of July. Catriona Leyland – BA Hons (First Class) Philosophy, University of Stirling. Catriona was also awarded the Murray MacBeath Prize for the best First Class Honours performance in the department. Highland Music Success – After taking part in arduous and testing auditions the following pupils have been offered placed in various Highland Orchestras and Bands. Well done all! Highland Youth String Orchestra – Hannah Wood & Leonie Baptist. 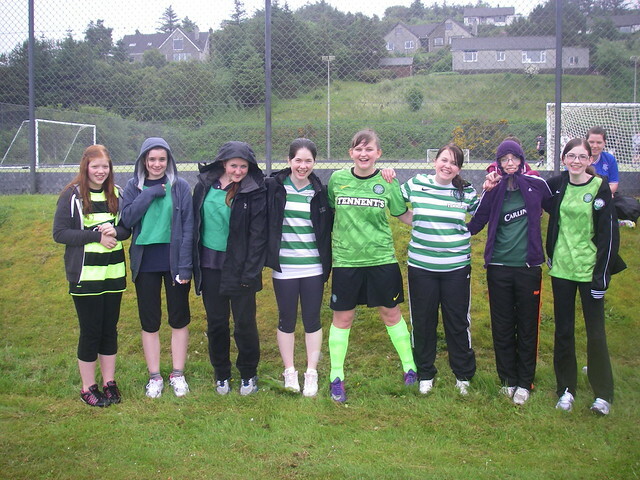 with Celtic winning the girls competition. You can see more photos here. Thanks to all the staff who helped run the event. The School news will return at the end of August.